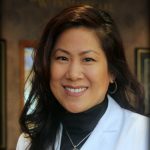 In 2008, Dr. Betty Y. Wang joined Dr. Randi Braman to form BW Primary Care in Eldersburg, MD and immediately fell in love with this wonderful community. She earned her Doctor of Osteopathic Medicine degree from the Philadelphia College of Osteopathic Medicine and holds a Masters of Business Administration degree from St. Joseph’s University, with an emphasis in medical services and health administration.. She completed the Johns Hopkins University/Sinai Hospital residency program in internal medicine in 2006. Certified by the American Board of Internal Medicine, Dr. Wang sees patients 15 years old and over. 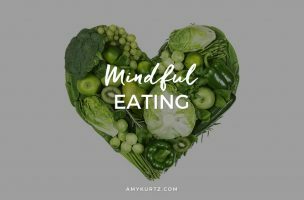 She employs a holistic approach of listening to one’s mental, environmental and physical influences to comprehensively tackle any and all disease states. While concentrating on preventive care, Dr. Wang enjoys helping patients proactively and effectively address chronic medical conditions such as diabetes, hypertension, obesity, asthma, heart disease, and anxiety/depression. Dr. Wang has placed a personal interest in wellness and nutrition by designing and launching the Body and Wellness Program at BW Primary Care. She gains great enjoyment comes from empowering patients with the knowledge and support necessary to nourish and condition oneself to health, with an intention to remove unnecessary medications as one succeeds in this philosophy. You can read more about this segment of the practice at the website link below. In addition to primary care medicine, and along the continuum of life, Dr. Wang has earned her second board certification in Hospice and Palliative Medicine, which has allowed her to better assist patients and their families with end-of-life decisions. She also serves as an attending staff physician for Seasons Hospice of Baltimore at Northwest Hospital Center. Dr. Betty Wang is an active member of the American College of Physicians and is an executive board member for two organizations: the LifeBridge Physician Network (LBPN) and the Maryland Association of Osteopathic Physicians (MAOP). Her other interests include volunteering as the Medical Director for the Annual Cherry Blossom 10 mile Run in Washington D.C.
She enjoys spending any spare time with her family and friends, physical fitness and traveling. NOTE: Dr. Wang is currently not taking new patients. Please look to get established with one of the other high quality providers at BW Primary Care.